The Book Truck’s First Annual Read-a-thon!! The Book Truck’s (first ever) Read-a-thon!! 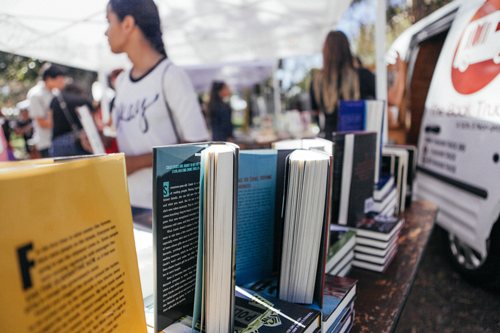 Join our supporters and spend the day reading to fight the literacy crisis for foster care and low-income teens. We’ll be checking in on Facebook live! Prize drawings every hour!!! Big THANK YOU to Out of Print Clothing, Owl Crate, and Children’s Book World for the awesome prize donations!!! Get involved with The Book Truck! Explore our teen volunteer opportunities or get information about holding a book drive. Are you a teen who loves reading and talking about books? Become a volunteer at our teen literacy events! We'll train you to become an official book expert to help other teens find and take home the perfect books. Once you're trained, you'll be able to volunteer at any of our teen literacy events across LA County.